When Chris Pendergast visited Edna Louise Elementary School in the Port Jefferson School District a few months ago to share a message of strength and determination, his words left an imprint on several of the students. His story of living with amyotrophic lateral sclerosis, commonly referred to as ALS or Lou Gehrig’s Disease for more than 20 years inspired four fifth-grade girls to host a fundraiser. Gwenivere Connelly, Julia Fife, Alice Snyder and Emily Snyder sold small stuffed animals, loom bracelets, pencils, erasers, notepads and more to raise $334.35 for the ALS Ride for Life Campaign. “We are very proud of them for taking this initiative to help out this worthy cause,” said Principal Thomas Meehan. 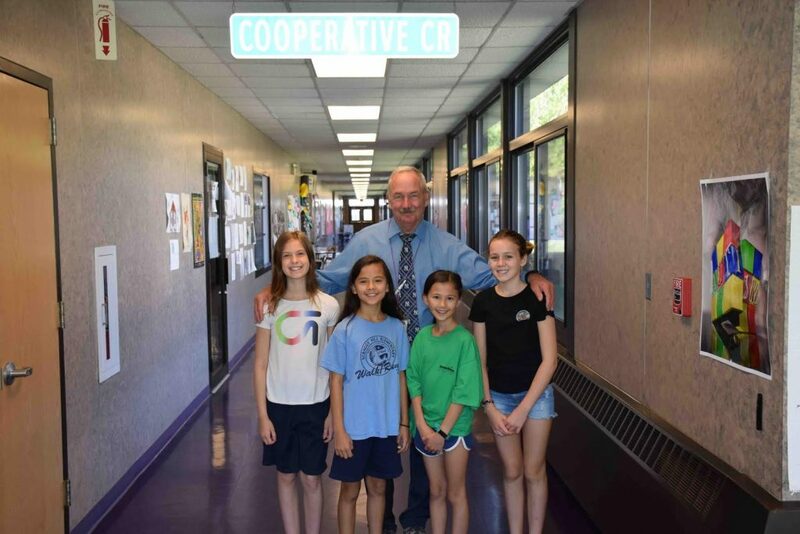 Photo caption: Edna Louise Spear Elementary School students Julia Fife, Emily Snyder, Alice Snyder and Gwenivere Connelly raised fund for ALS Ride of Life.